IHMS now offers a Monday to Friday, full-day Kindergarten program. Extensive research indicates this innovative initiative has a very positive impact on young learners. Children in all-day kindergarten have better language, social and communication skills. Students in full-day kindergarten are better prepared to enter Grade 1 and to be more successful in school. Currently, full-day kindergarten exists in seven provinces and territories across Canada. Nearly 80 percent of families in our community support the concept of full time kindergarten. Full day kindergarten (as opposed to alternate days) is of benefit to families in which both parents are in the workforce. 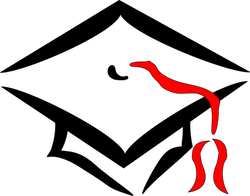 Due to classroom space limitations at this time, IHMS does not offer a Sadochok program at the 650 Flora Avenue location. IHMS offers pre-­Kindergarten programs through Immaculate Heart of Mary Lubov Nursery School located at 35 Marcie Street. This very successful program has been in operation for nearly 20 years and offers a program with a special concern for the Ukrainian culture, and as well, faith development. Email: stannelubov@mts.net or Phone: (204) 669-1023 or click below. Immaculate Heart of Mary School is a Nursery (Sadochok) to grade 8 Ukrainian Catholic School in Winnipeg, Manitoba. It has been owned and operated by the Sisters Servants of Mary Immaculate for over 105 years and is the SSMI Order's longest-running mission. Independent and non-parochial, IHMS is the only private Ukrainian Catholic school in western Canada. After a recent school survey, parents of students at IHMS expressed that the primary reason they send their children to our school is the quality of the academic program. 1:30PM Grades 7 & 8 Spring Sock Hop! Click to access the Alumni website. Thank you to all the patrons and sponsors of this year's Annual Fund Raising Dinner held on Saturday, March 9. Your support is very much valued. Gratitude to the all the volunteers who assisted with preparing and hosting the event ... couldn't have done it without you. Special gratitude to the Dinner Committee for their time and creative talents. 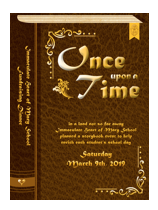 It was an exceptional event for the school with a very well developed 'Once Upon a Time' theme. It truly was a 'story book' event as the theme suggests! Acknowledgement to the 'Dancing With the Stars' couples for so willingly sharing their dancing talents. It was show that will be remembered! All the proceeds from the Dinner go towards benefiting the programs offered to the students of IHMS. Thank you!! 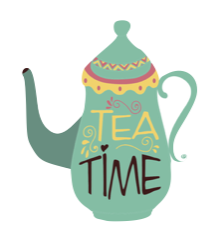 Thank you to all the supporters and volunteers for your support of another successful School Tea. The generosity of time, talent and resources you have shared is very much appreciated. Although the weather was cold on the day of the Tea the hospitality was warm and the tea was hot!